If you have a query, you contact our dedicated support helpdesk with live human beings, based in the UK. How much help and support will I get? The benefits of joining our franchise is that we provide more than a set of manuals and on-line training tools. Our experience and expertise is divided into the essential business disciplines of bookkeeping, operations, sales and marketing and of course the technical aspects of the franchise. 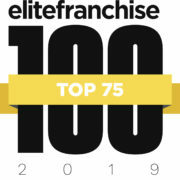 We work alongside our network of Franchise Partners to grow and develop the business nationally to benefit everyone involved. We have Franchise Support Centre staff with specific skillsets to ensure quality is delivered. Legistative updates – we will keep you updated to changes in legislation that may take place that affect your business. Regular Business Boost webinars covering all elements of yoru business including marketing, technical, business development and operations. We set you up in our buddy system – mentoring from an established franchise partner.